EDGMONT TWP., Pa. (WPVI) -- Three people are hospitalized after a crash in Delaware County. It happened around 7 p.m. Friday at Valley and Middletown roads in Edgmont Township. 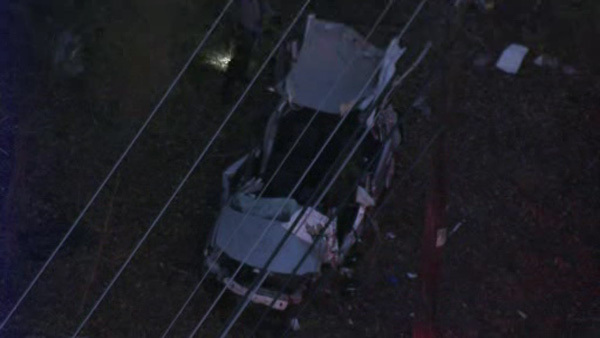 Chopper 6 over a crash in Edgmont Township, Pa.
Police say the driver of a car lost control and crashed into a tree. Three people in the vehicle were taken to area hospitals.